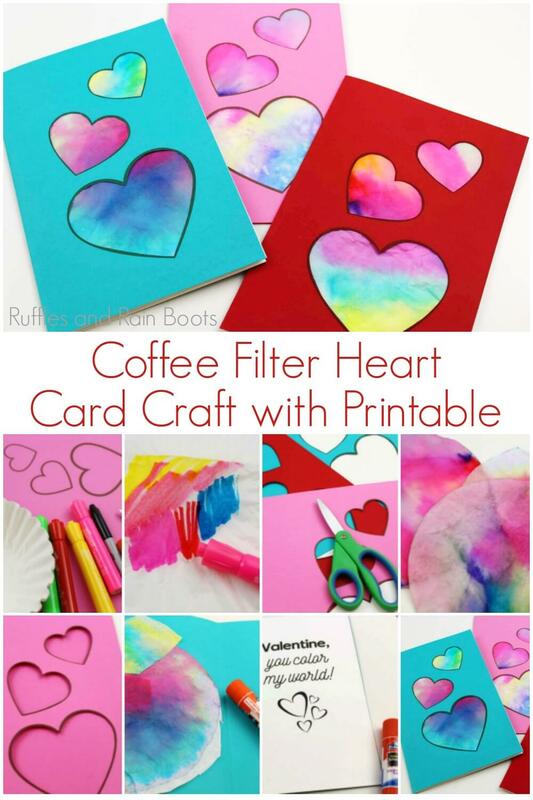 This coffee filter heart card has a printable to help this fun kid’s craft be an easy one, as well. Let’s get started with this sweet little heart craft! 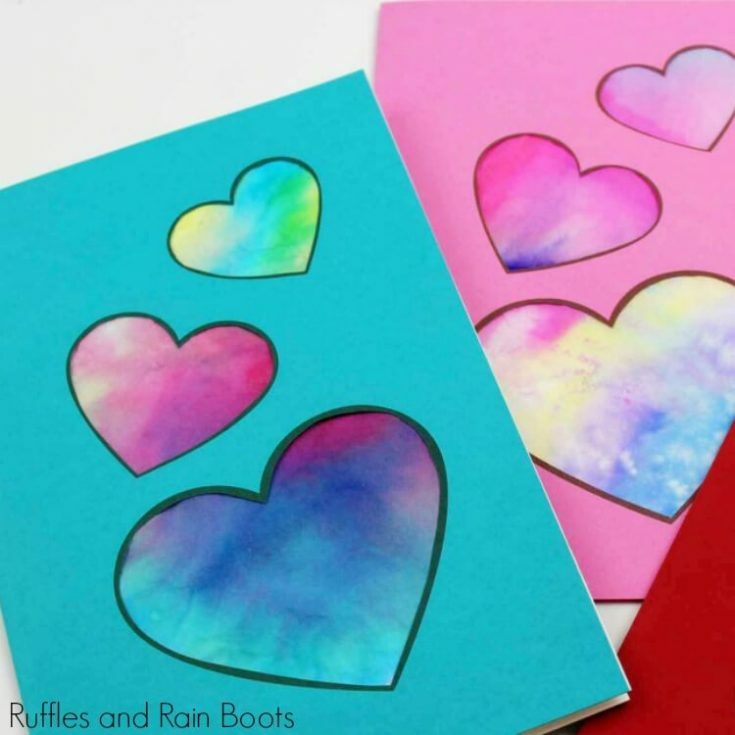 Here at Ruffles an Rain Boots, we love to share fun, quick kid’s crafts. This card is quick to come together and it’s so much fun to see the kids’ mouths pop open when they see what happens when water hits the ink. If you’re pressed for time, make two crafts out of this coffee filter heart card. Lay out the coffee filters and allow the kids to mark them up. Then, give them a dropper of water to watch the magic. When the filters are drying, have the kids prep the cards or come back to it another day. 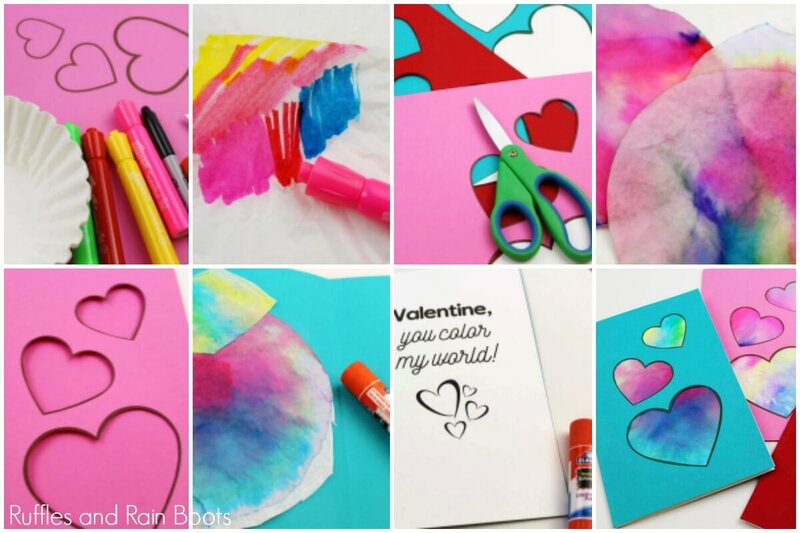 Whether you’re scrolling or want to save this idea for Valentine’s Day next year, go ahead and pin it to your favorite kid crafts board on Pinterest. You might remember this craft from when you were little. It’s a fun one, that’s for sure! If you’re creating a playlist on YouTube of kid’s crafts, here is our coffee filter heart card video tutorial. Get the free printable for this coffee filter heart card below. It's gorgeous and can be done in no time! 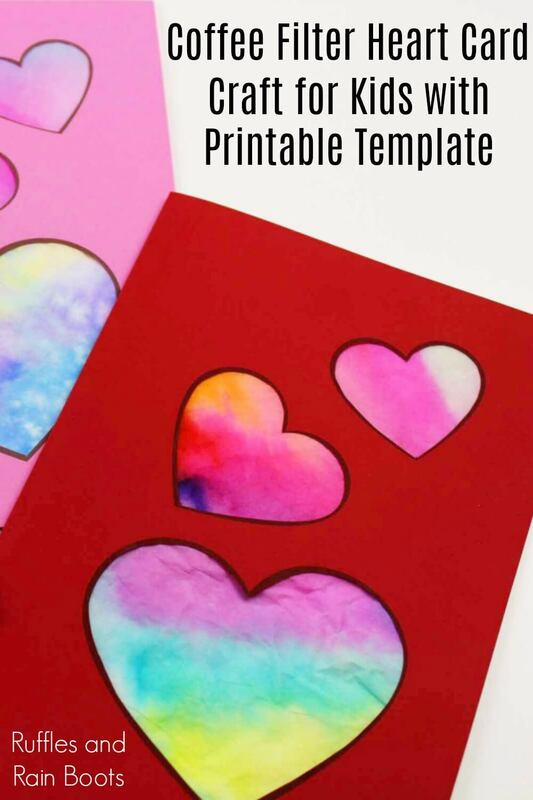 Print out the templates for the hearts and the insert. Color the coffee filters with marker and add drops of water on them to watch the colors spread. Set aside to dry. 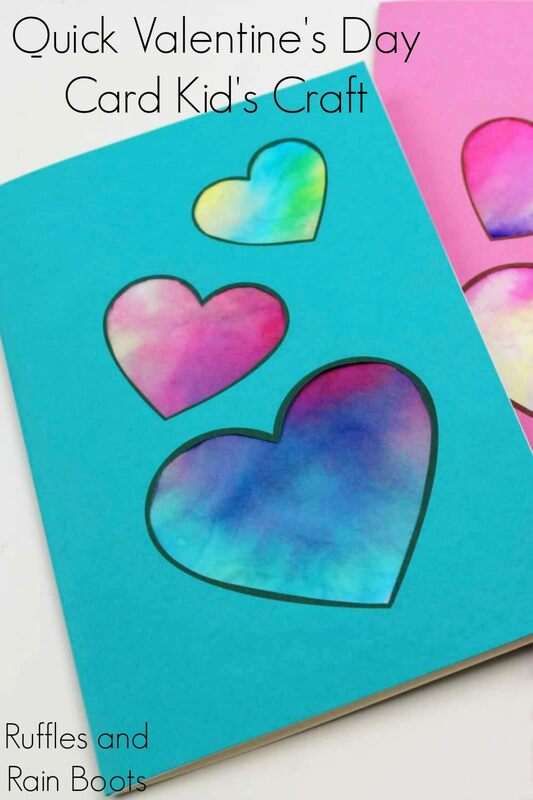 Trace the hearts onto the right side of a piece of card stock or construction paper and cut them out. You can place them wherever you'd like, just space them out enough to be able to glue the coffee filters on. Once the filters are dry, flip the paper over and place them behind the cut outs and glue them in place. Cover the glued coffee filters with the card insert by glueing it down, lining up the edges. Fold the paper and your coffee filter heart card is ready for gifting! Join the Fun Later, Too! Be sure to sign up for our once-weekly newsletter where we share all kinds of fun! No spam, no selling – just fun activities and crafts for all ages. Your shares are this site grows and I am sincerely grateful.